I remember saying these words as if it were yesterday. We will soon be into our 6th year in marriage. A big crowd gathered at the garden. The weather was just perfect, decor was amazing , and everyone cheered us on as we said “I DO”.! My mama was just crying, my dad clapping his hands, looking happy but somewhat with a very pensive look. As I always say, the wedding has so much pomp, until you start writing your own chapter, then you realize, Ohh! Marriage is work! It is achievable but it is work! I guess no wonder our parents as much as they are happy, they are always in prayer. I remember my mama was and is always in prayer. Marriage is work, but achievable! I know they silently made a prayer that these “two beings” will be one in soul, not just the flesh. Prayer that these “two beings” will have the willingness to work out their marriage, with no divorce thoughts crossing their young minds. Prayer that these “two beings” will learn that it will take more than just the “feeling of being in love” to “doing the love”. Prayer that these two beings would understand and choose each other daily despite the hurdles and the wavering circumstances that life will throw at them. Parents do pray, and I knew they were praying for me! Of course I was praying too! I remember I was so thin from the fasting, the praying and the stress of planning a wedding! The wedding comes and goes. Marriage begins immediately after the vows, till death does you part. My husband then, hadn’t really seen my IMPERFECT LIPS! Just my PERFECT LIPSTICK! I mean, I was a caring fiancé. I remember our 1st year! Ours wasn’t roses! If yours was or is, Hallelujah! You are amazing, I wasn’t! I was not a saint! My lips had to go through a series of a panel beating! First came the teaching on toning down! Toning down! Toning my tongue, my speech, and my words! When I could get angry, I wasn’t the sweet me anymore. I couldn’t let it pass! Nooooo! How? This guy had to know that am hurt! I had my own package! So there we were, exchanging words! Words that cut right through our souls! We were slowly destroying each other. Even though we apologized, the words were spoken! Retracting them was another story all together. A burnt toast never hurt anyone but words do! Yes were married, but our lips were not doing anything good! Woe to me! I cried. I am ruined! For I am a man of unclean lips, and I live among a people of unclean lips, and my eyes have seen the King, the Lord Almighty. I knew was a sinner. My lipstick was always perfect, my vows were perfect, but my lips were not! My lips were not offering the right sacrifice of praise and of honor to Him who gave me life. I was offending my husband in my words! I was not doing good to my husband! I thank God for him. He still covered me, still protected me, still prayed for me, he still loved me. I speak to women because we are builders of our houses. Trust me, the word of God really gives zero notice to the so called female emancipation, equality, feminism movements and all that “female crappy stuff” that ruins marriages! Yes I said it! It’s all crappy because instead of calling onto.women to be who were made to be, it calls onto women to be competitors in their homes! No wonder marriages are breaking because at no given time a home can have two heads! My hubby says anything with two heads is a monster and should be killed! Think about it! A snake with two heads??? Can blame it on chromosomal disorder but is it a normal snake? Sister, that before the Lord is null and void! Tell him to touch you with ‘coals of fire’. Yeah! You build your house sister, by your actions, by your lips!, and can destroy the same too by being unwise and un-calculated in your moves! By having a careless tongue, by making your tongue act as your arrow that every time you have an argument you can’t let it pass, you can’t let him win. That everything he does has to be critically analyzed and a full report of the same to be written. How many times, have your lips been full of void flatter to your husband, with every false intent to manipulate him rather than genuinely praise him? How many times have your imperfect lips talked proudly to your husband? How many times have we been the braggarts? With our perfect lipstick on, and imperfect lips, we put our husbands down, disapprove them instead of building them up with our words? How many times, with your lips so imperfect, spoken contemptuous things against your husband to even strangers, telling all his weaknesses out in the open instead of covering him; for love covers a multitude of sins? How many of you, with lips so imperfect, have lied to your husband, even on a small matter? How many times has your tongue acted as a sword? How many more times have you cut your husbands with your words. Abusing him or simply smacking at him? Yes the “nkt, nkt” thingies! 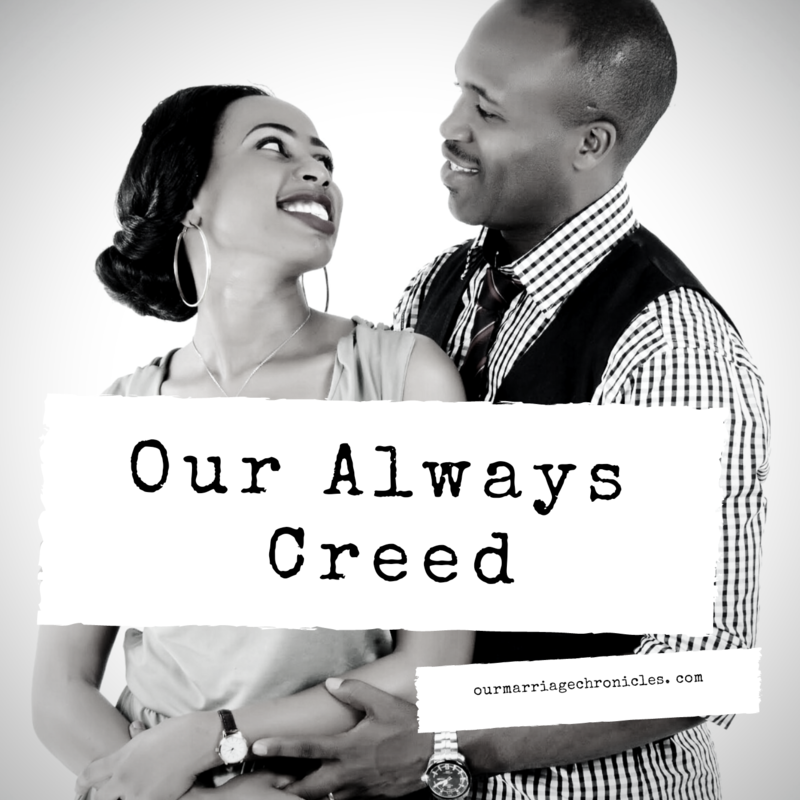 How many times have we confessed death to our marriage? With our imperfect lips we have cursed our husbands, cursed their work, cursed their businesses, and cursed everything they do! No wonder they struggle in their jobs, they are never fruitful as much as they are always faithful. You curse him when he arrives late, yet he was busy trying to strike a business deal. Your mouth is quick to judge and your lips are quick to utter malicious accusations towards him. How many times have your lips uttered, No! You cannot do it! Trust me, by lips, you can either bless or curse. I told the Lord to teach me to bless, speak life into my marriage, and speak favor on my husband’s life. I did not just want the perfect lipstick on, I needed to have perfect lips too! Perfect lips that only the Lord can give! YOU have the perfect lipstick, but from your lips, words so imperfect are spoken. The Lord holds us accountable to each letter. It is in your purview to make your marriage work and build your marriage through words. No matter what, never curse your marriage, never curse your husband, never speak negative words in your life! 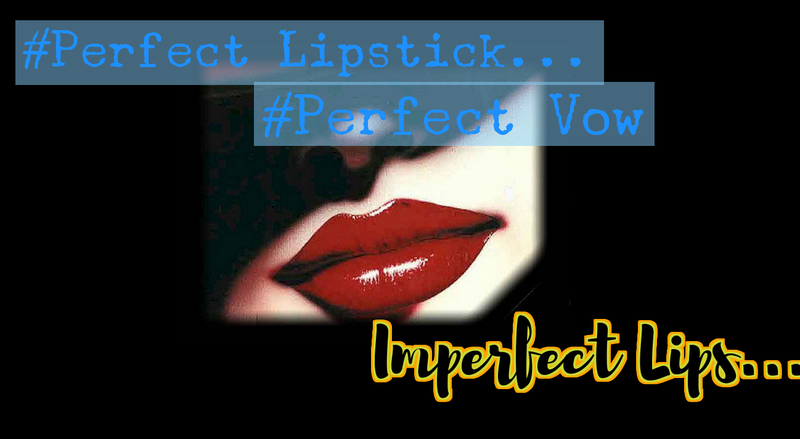 Perfect lipstick, perfect vows, imperfect lips. The Lord touched me, I still am in the potters hands, but I had to be willing to be taught by God to be a good wife, a wife whose tongue is tamed, touched by the “coals of fire” from God. Previous PostDAY 3: SACRIFICE AS CHRIST DID; AND GENTLY LEAD. Next PostDAY 4-THAT THE WORK OF HIS HANDS WOULD BE BLESSED, and BE A BLESSING TO OTHERS!